'DIY or DIE'. Independent Cinema at its best. This American Film celebrates the underdog and is a must see for any artist or musician. Is an improvised musical Jam for young people at any stage of playing and with any instrument - the weirder the better! 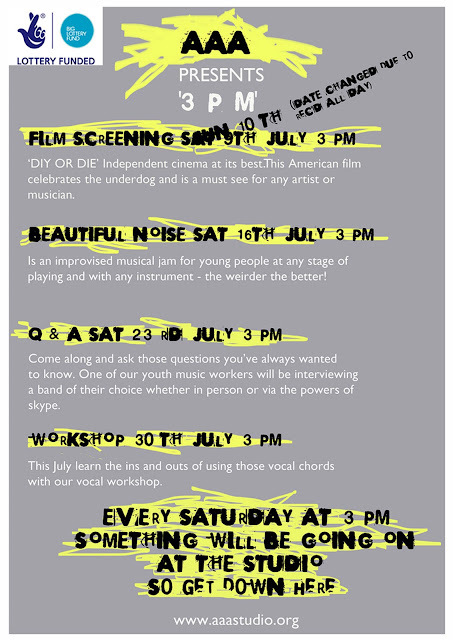 This July learn the ins and outs of using those vocal chords with our vocal workshop.